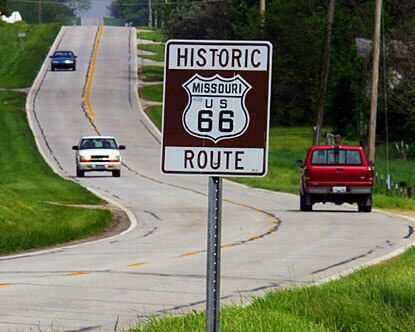 U.S. Route 66 in Missouri ran from downtown St. Louis at the Mississippi River to the Kansas state line west of Joplin. The highway was originally Route 14 from St. Louis to Joplin and Route 1F from Joplin to Kansas. Although there are multiple cities on route 66 Missouri, there are certainly a few that are the most popular cities on route 66 Missouri. Route 66 Missouri and the rest of route 66 were first constructed in 1923, and since that time route 66 has grown in its popularity among the pop culture of the United States. From the Mississippi River in St. Louis, through the bluffs and rolling hills of central Missouri, to the plateau region beginning at Springfield and ending at the Kansas border, Missouri’s 300-odd-mile-journey provides a multitude of picturesque scenes along old Route 66.